When I am shopping, often times I find myself thinking "I love this bag but I wish it comes in a different color" or "This bag would be so much better if the black is beige instead"! I am sure you have all been there and done that. Thankfully, this dilemma can now be solved with Wink & Winn! 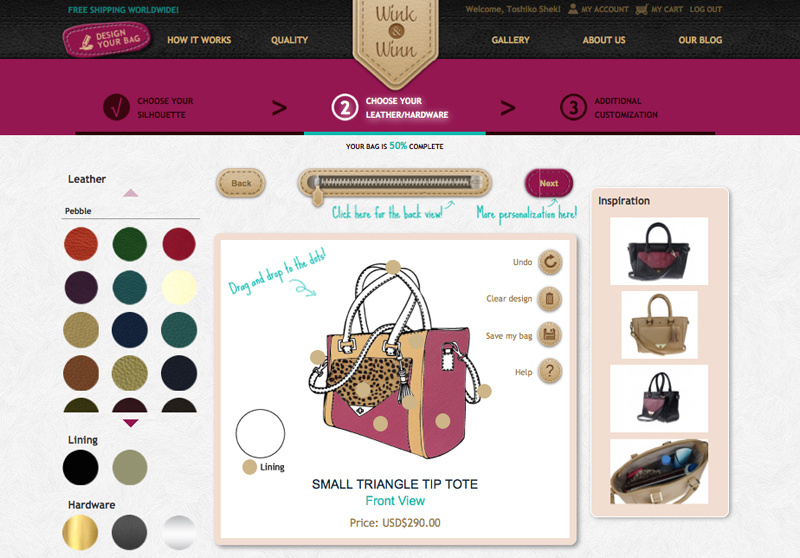 You can now create your ideal handbag on this easily navigated website by using its simple template with just a few clicks and drags. 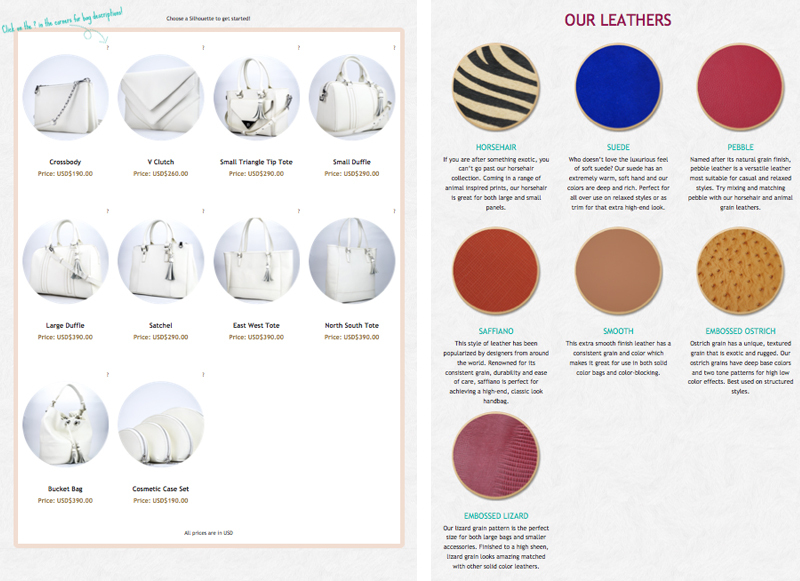 There are several handbag styles and an awesome selection of genuine leather, suede, and horsehair of various colors to choose from. I had so much fun just trying out different combos, the possibility is endless! Typically I like bags of neutral tones (they go with any outfits) but when Wink & Winn asked me to design my own dream bag as part of its test launch, I wanted to make something extra special. So, I came up with this saffiano textured fuchsia pink, smooth beige, and small leopard horsehair combo. It is chic but it also pops, exactly what I wanted! This whole process of turning my design into a reality has been truly exciting! This is so awesome! I absolutely love the bag you designed too. 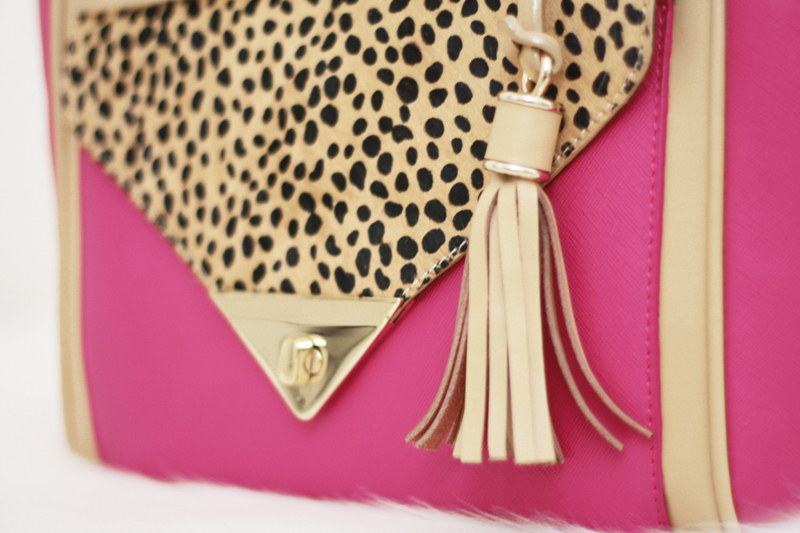 Pink and leopard print. You can't go wrong with that combination! Hi there! I just wanted to say thank you for all your support. I read and appreciate all the comments you have left me, I don't always have the time to respond so I thought I would drop a quick note today! Thank you! This is amazing! I can't believe it had not been done before. The bag you made is so pretty. This is the greatest thing I've ever heard about! My wallet will not agree with me but how awesome! I need to check them out asap, thanks for sharing! your bag is so beautiful, I'm obsessed!